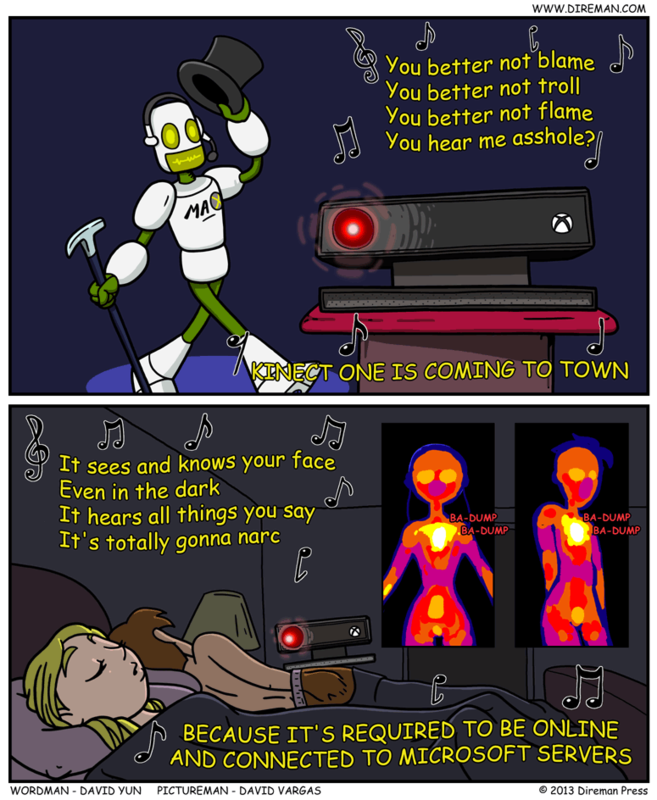 There is some genuinely impressive technology going into the next iteration of the Kinect hardware, but it feels mad creepy intrusive. It's always on standby, so you can activate the Xbox One with voice commands. It's got infrared to see in the dark. It's got facial recognition with which to identify you, and even your emotions via interpretation of expressions. It can approximate your heartbeat sort of like this. And since the Xbox One requires an internet connection, it can potentially pump all this data back to Microsoft. Alex goes all Nintendo Defense Force over here.